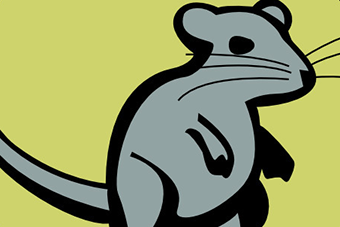 Even when our eyes are closed, the visual centers in our brain are humming with activity. Now, new Weizmann Institute research has revealed details about the nature of brain activity during rest. 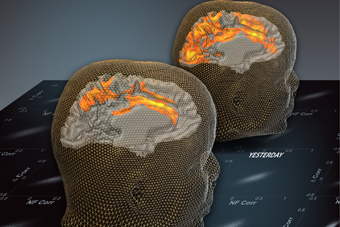 By studying brain wave patterns, Weizmann scientists found that such patterns preserve traces of previous cognitive activity. Like archaeologists, they may be able to uncover our history of past experiences, possibly revealing what makes us unique. It could also potentially enable diagnosis of neuropsychological diseases. Prof. Vivian Teichberg has developed a new method to rid the brain of extra glutamate—a substance that the brain produces in excess when it has been injured, and which can sometimes actually harm the brain further. Three research updates from the Weizmann Institute: the activity behind the experience of seeing; a pink tomato's genetic secrets; and how tendons shape bones. Three research updates from the Weizmann Institute: measuring brain activity during rest; checking the efficiency of bacteria; and why extra genes can be harmful. White light and white noise are made up of a range of sound or light waves mixed together. Now, in research that challenges basic assumptions about the sense of smell, Weizmann scientists have found that there are also ""white smells""– odors that seem basically the same, despite being blended from different molecules. 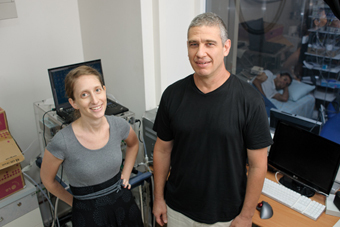 Using tones and odors, Prof. Noam Sobel and his team of neurobiologists have found that people can learn new information while asleep, and that what they learn can modify their waking behavior. Proust famously used a madeleine to link smell and memory; now, Weizmann research has revealed the scientific basis for the connection between the two.